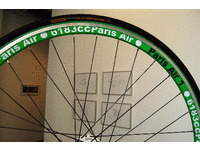 An ongoing series of three bicycle wheels were made. 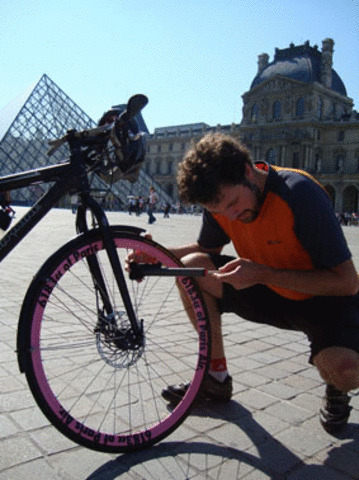 To complete, or ‘active’ the work the wheel is used to cycle the 600mile round trip to Paris where the tyre is deflated and then re-inflated with 6138cc of Paris air. 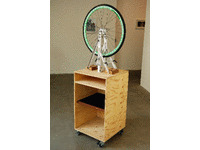 The return journey is then made and the completed work handed over. 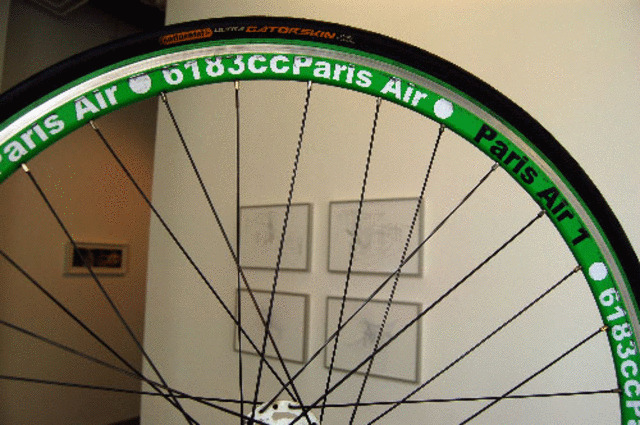 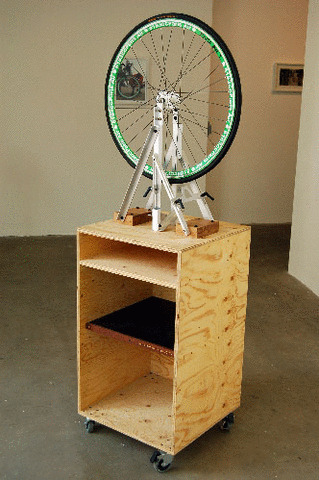 Materials: Bicycle Wheel and Tyre and Framed Digital Print.